Then you'll understand how beautiful and special you are". ​ even if you do not always see it". "I create and give my artworks with great love!!! precious time and investment I have made in the preparation of the artwork. without you it would not have happened". 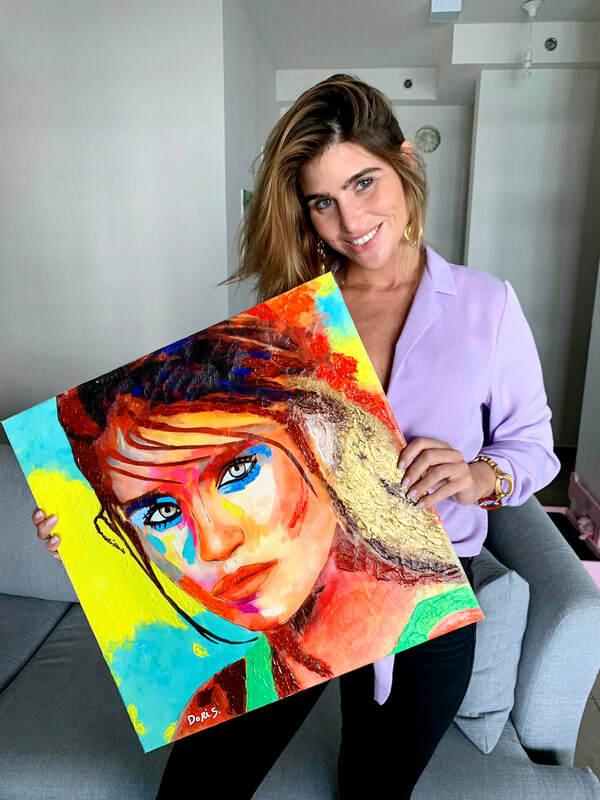 "This is about giving, about love, about sharing..." I'm in awe...what an honor to be the subject of this piece, Dori shasha, what a talent, what a soul!, I'm in tears seeing this in real life and reading your beautiful letter. My heart's so full. Thank you..."
"Dress for a party every day and the party will come to you!" A Warm welcome and greetings, thank you for visiting my website gallery. When I write "the best gift I can give" I really mean it, I believe it, for the simple reason that I saw with my own eyes people who received this wonderful gift, I saw their surprised faces and felt their joy and their love for the gift they received, It's not just a gift, it's a work of art created especially for them. In general, I want to tell you that this project was created on the basis of giving and love, it's a bit strange but it all started when I wanted to give a gift to an artist (a theater actor) that I love and cherish, I drew a portrait for him and gave it to him as a gift, he was so excited by the gift, I have to admit that I was very surprised by his reaction, hey, we are talking about an actor who appears in front of an audience every night. Excitement is normal for him, but apparently in reality small gifts make people happy, because as I mentioned before, it is not a simple gift, it is a gift that made specially for him, Since that moment between us every time I meet him again, he reminds me that the painting I gave him hangs on his wall. Since that magical moment of giving, I have created hundreds of colorful portraits, for hundreds of people around the world, more famous and less, This wonderful project helped me to meet many people, each person with his color, his background, his special qualities, each person a wide range of colors, I choose to express them through colorful portrait paintings, I invite you to visit my gallery here at my website, The gallery contains dozens of colorful portraits of people, a beautiful face that expresses life, I hope you will like what you see and that you will choose to order a colorful and personal portrait for you or for someone you love. For the simple reason, this is the best gift you can give and receive. 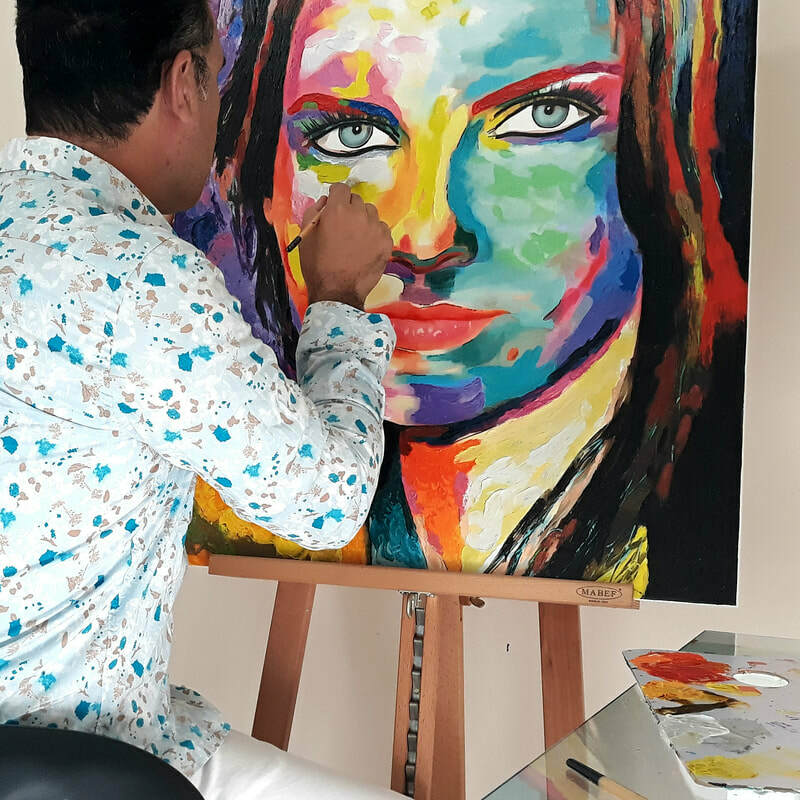 A Warm welcome and greetings, thank you for visiting my "colorful faces world". 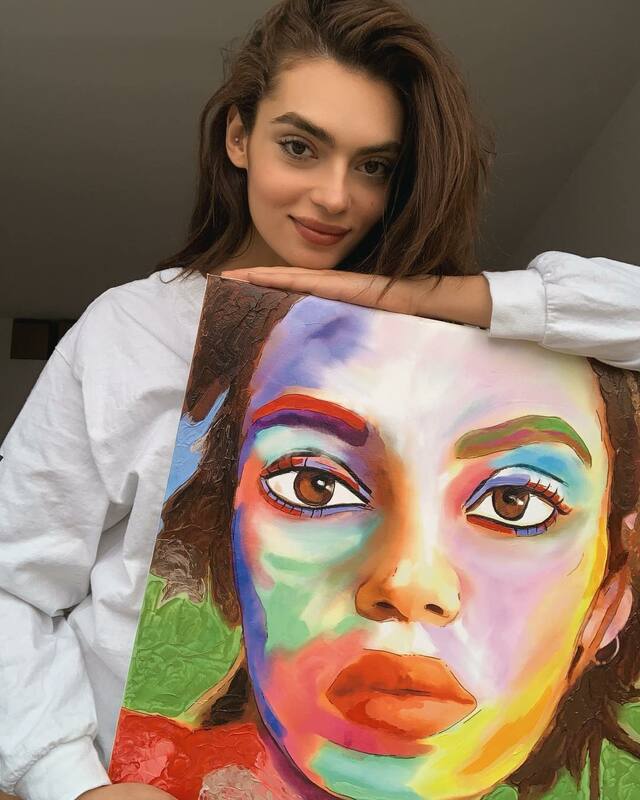 How to order a colorful Portrait? If you think you are like this you are welcome to contact me. Interested in a colorful portrait ? It is a wonderful gift for anyone at any age and at any time. 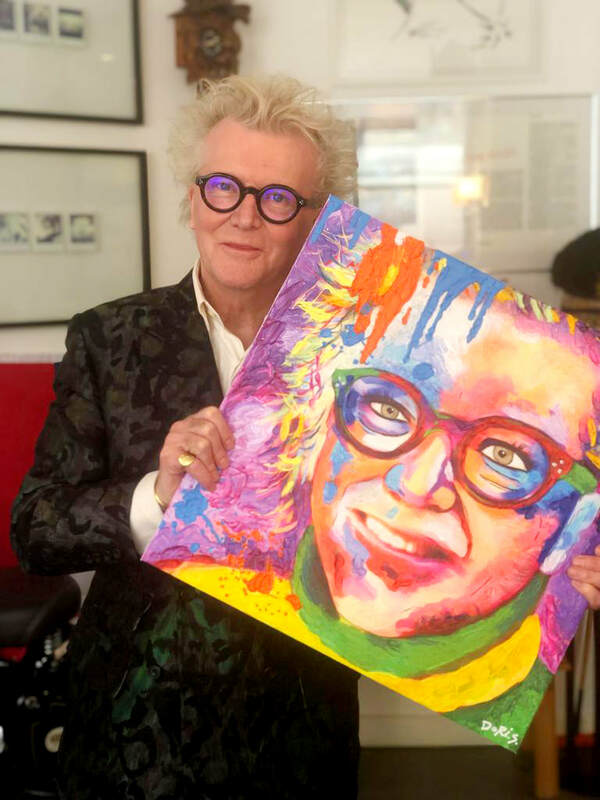 I would be happy if you would choose to give a beautiful portrait painting gift to someone you love and even to yourself.